UPDATE- PROPHET ASCENDS TO HEAVEN ON EASTER DAY, SNAPS PICTURES OF HEAVEN…LOL!!! A prophet who allegedly ascended to heaven as thousands watched has come back with revelations that he snapped pictures of heaven with his phone. A popular South African pastor has left many people stunned after he revealed that he went to heaven and snapped pictures. 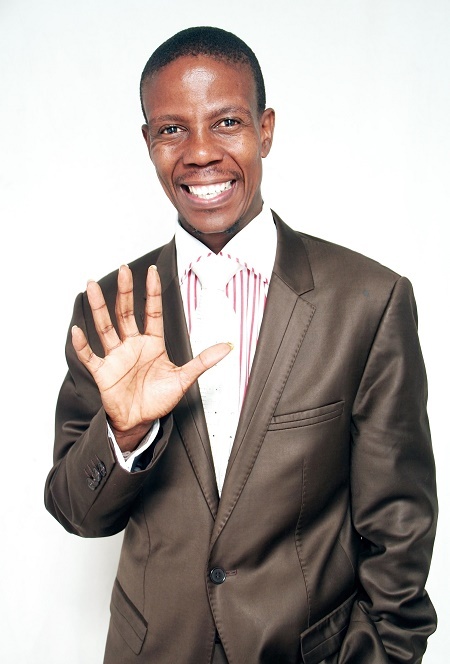 The Incredible Happenings Ministries founder and leader, Prophet Mboro finally spoke out concerning his ascension to heaven over the Easter weekend, News SA reports. According to news sources, thousands of church goers witnessed a miracle as the controversial prophet was caught up to heaven on Easter Sunday. It is said that the incident happened at an Easter service in Johannesburg, but people from as far as Pretoria testified that the sky somehow looked different around 10:30 am. According to reports, Mboro was about to begin a sermon at his church in his hometown when a beam of light from the sky appeared and whisked him into paradise while some feared he was taken by aliens. The story was confirmed by Mr. Nkuna, a spokesperson of the church who conducted an interview with a local News Paper (Katlehong Weekly). He said that the Pastor was indeed captured to heaven and he is now back. “The prophet did go to heaven during the service, and he came back later that day. While there, he took pictures using his Samsung Galaxy S5 so he can show them to the people on earth if they do not believe he was captured to heaven. “The pictures will be made available to the public on his Facebook page later next week and can now only be accessed through a R5000 pledge. Those who need the pictures can contact the church and make the pledge using Money Market then we will send them the pictures on Whatsapp,” said Mr. Nkuna.